The details of the Platinum Sponsorshop Package are negotiable. Please feel free to contact us! 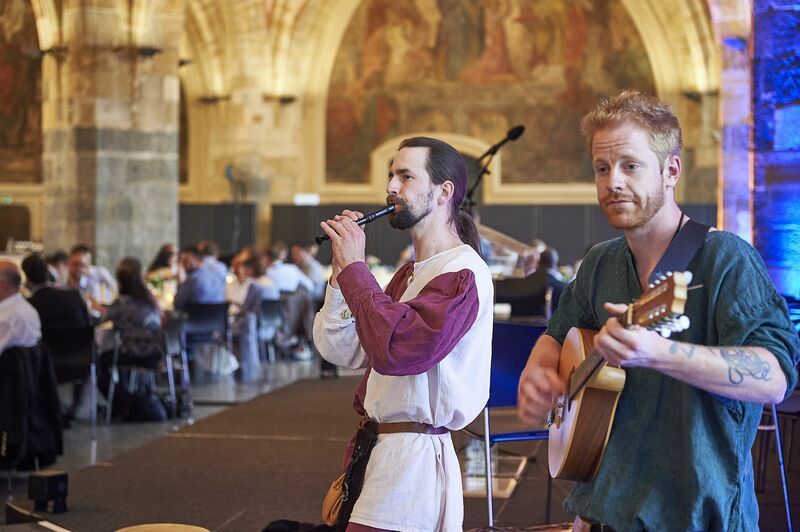 We offer your company the exclusive opportunity to become the host of our unique, well-known, and much-loved Dinner Party at the historical Coronation Hall of Aachen Town Hall which will take place on Thursday, 13 June 2019. You will have the opportunity to present your company as the sponsor of the night in a five minute welcoming speech. Your companys logo will be on the menu-, as well as on the invitation cards and much more. We are confident that this unique marketing opportunity will exceptionally reward your company.